Sutter Health will replace the old Cathedral Hill Hotel with a 555-bed hospital for women and children. 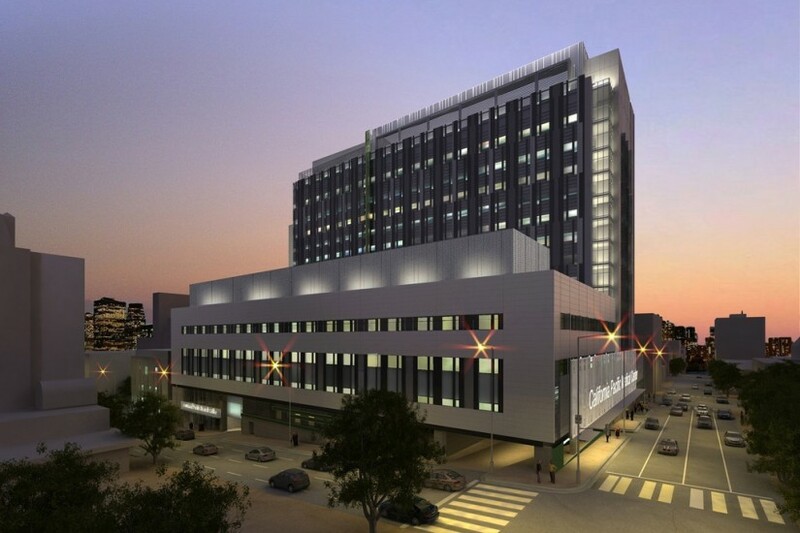 It will feature intensive, post-anesthesia, neonatal intensive and pediatric care options as well as labor and delivery rooms, an imaging suite, operation rooms and support spaces. Applying lean management techniques, they are using an integrated project delivery approach, where client representatives, designers, contractors and key trade partners are in a single location to ensure collaboration in all aspects of design and delivery—making it one of the largest and most complex projects to be designed with this new method. The design will seek a Leadership in Energy and Environmental Design (LEED) Silver certification from the U.S. Green Building Council. Shen Milsom & Wilke is addressing several different acoustical concerns while following the American Institute of Architects and the Academy of Architecture for Health guidelines. We are providing recommendations for proper sound isolation and speech privacy. Our recommendations also include noise and vibration control for the mechanical and electrical systems within the building and into the neighboring community. The interior finishes will provide acoustical control and also be washable.